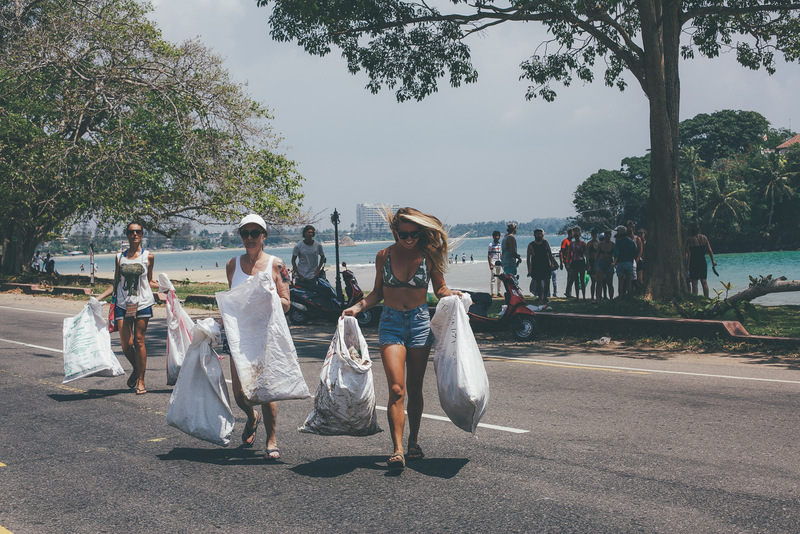 On Friday we held the first Ceylon Sliders beach clean in Weligama bay in collaboration with our friends at La Point Surf Camp. 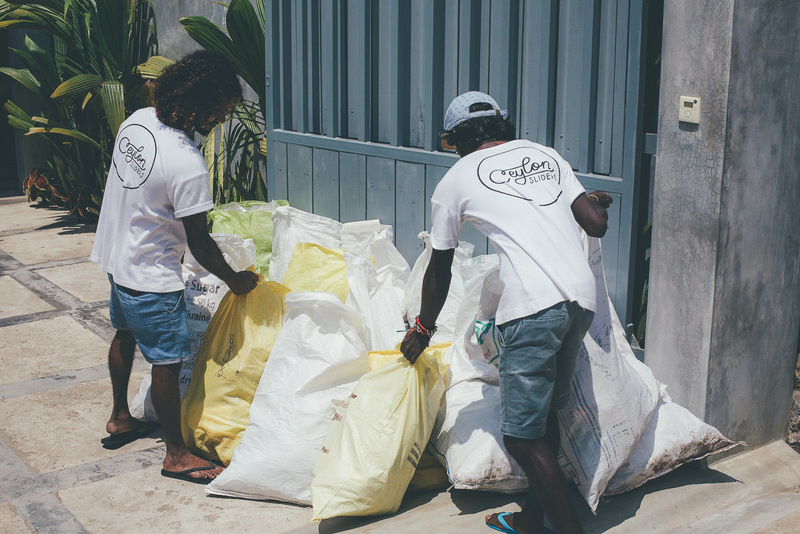 In an effort to tackle the ongoing and increasing problem of marine plastic pollution washing up on our shores, our team of guests, locals and staff took to the beach with rice bags and filled them to the brim. After an hour our team made it to Fish Point with not a single piece of plastic left in sight on the beach. Once back at Ceylon Sliders our team rustled up a delicious vegetable noodle salad, juices and coffees for everyone who took part. Plastic litter is sadly a huge problem on beaches across the world, destroying global marine eco-systems and the communities that rely on a clean ocean environment. The Ceylon Sliders community revolves around the ocean. We wouldn’t be who we are without it. In Sri Lanka ‘throw away’ and ‘single use’ plastics are a big problem which needs to be addressed further. 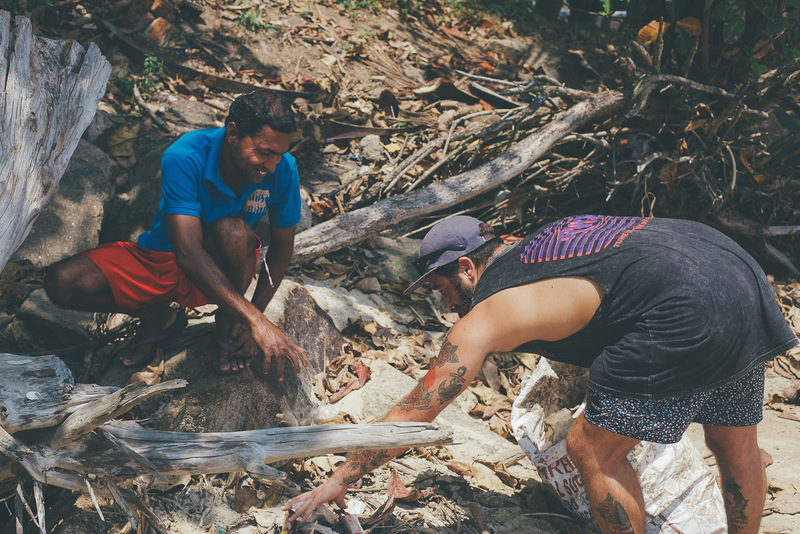 The more we can educate travellers and locals alike and set an example for them, the better chance we have of tackling the problem and encouraging people to make better decisions before consuming products with plastic. Sri Lanka imports a staggering 160,000 tonnes of plastic raw materials each month (1), and the majority of that will sadly end up in places it shouldn’t, spoiling this beautiful landscape and wildlife. 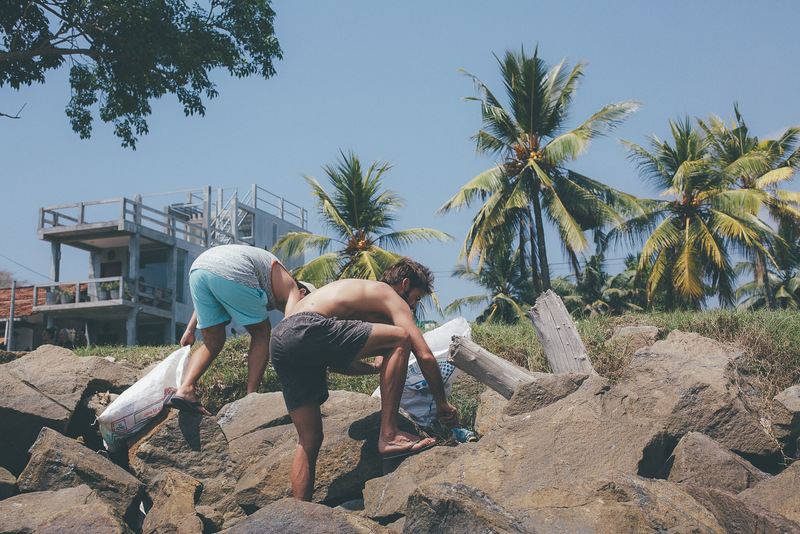 There are a few obvious yet simple steps each of us can take in order to minimise our plastic footprint. Unfortunately bad habits and convenience usually outweighs the more sustainable options. Firstly, use a reusable bag. 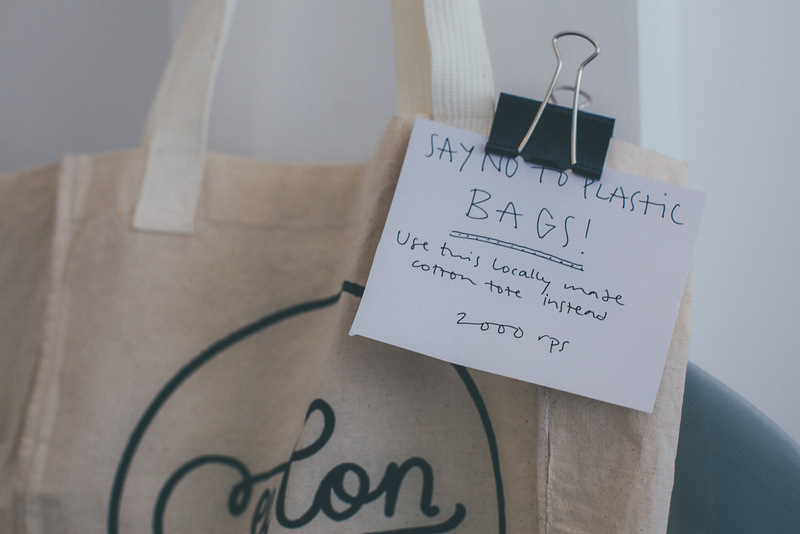 Whether its cotton, straw or something sturdier, there’s no excuse for using single plastic bags. Here on Sri Lanka one of the main culprits of plastic litter is water bottles, by buying a plastic water bottle every time you’re thirsty means more often than not, that bottle makes it way into the ocean. When you’re out and about, say no to straws, or buy a metal one you can carry around with you. It’s not uncommon for cafes and restaurants to stick a straw (or two, or three!) inside your drink, which really is unnecessary. 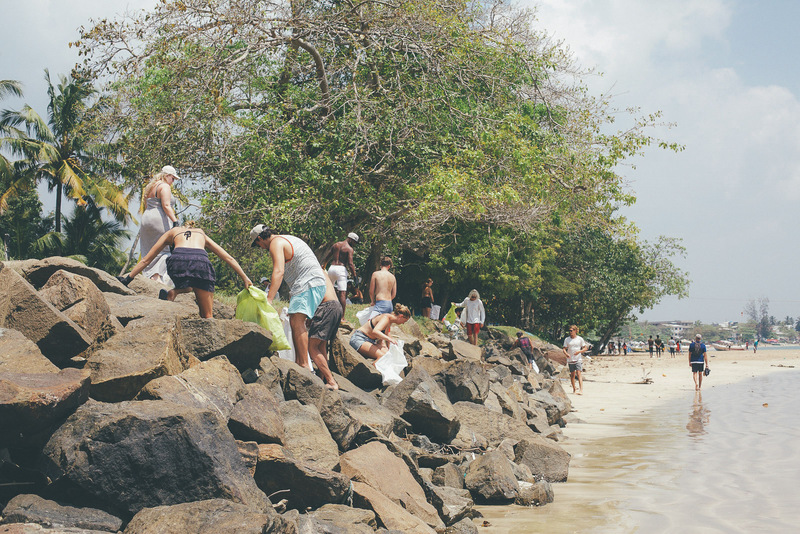 We can’t thank all of you enough who came and took part in the first Ceylon Sliders beach clean. Whilst we’re really stoked with the turn out and grateful for all of you who joined in on the day, we know it’s a small step, but at least a start. A special thanks goes to the council as well for collecting the litter and recycling it responsibly. 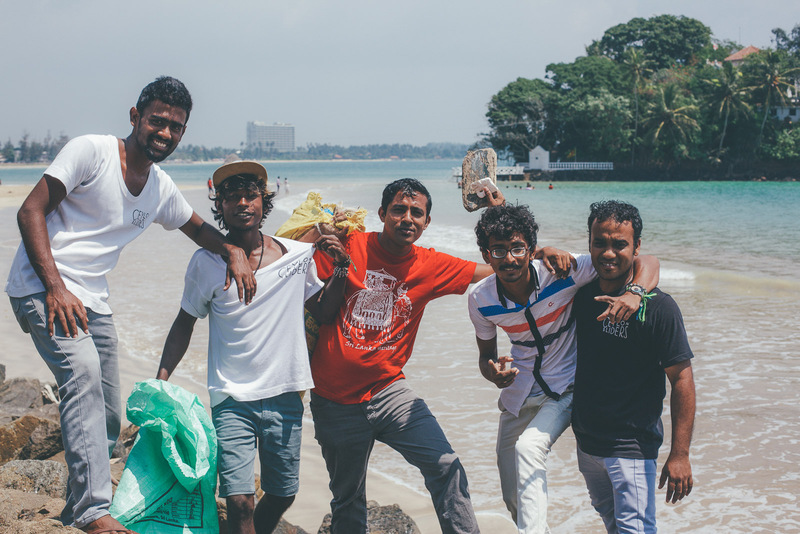 There are now more than 120 plastic and polythene recyclers in Sri Lanka, and the new CEA project hopes to improve the collection of segregated plastic waste more (2), which is great news! Keep up to date with us on social media to find out how and when you can get involved with the next beach clean. 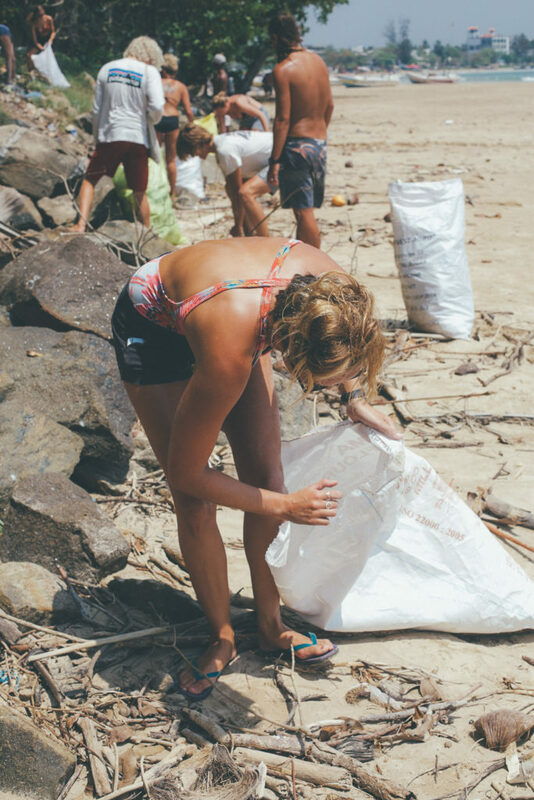 Our aim is to make this a regular event which will raise awareness amongst locals and travellers alike on the importance of minimising our plastic consumption.